These are important questions. Identity management is a core part of every enterprise network whether hosted on-prem or in the cloud. Google continues to make inroads into the enterprise with G Suite and Google Cloud Platform. The result is not only that Google is now well established in the enterprise IT arena. But since all of these platforms require some form authentication/authorization for access, they are having to deal with identity management. In other words, Google now needs to figure out what direction they’re going with cloud identity management. 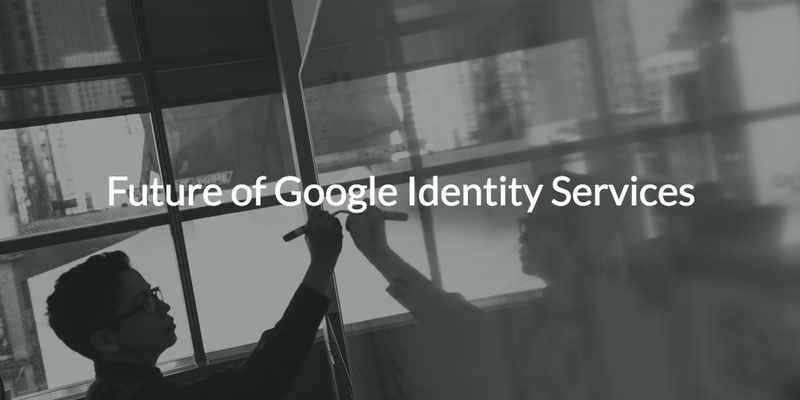 In this post, we’ll do our best to predict the future of Google Identity Services, based on what Google is doing now. Google has two major product lines that it is focused on when it comes to the enterprise IT market. The first is their cloud Infrastructure-as-a-Service platform, Google Cloud Platform. The second is G Suite, formerly known as Google Apps for Work. When it comes to GCP, which is competing heavily with AWS and Azure, the process of identity management can be tricky. Servers and network infrastructure have traditionally been hosted on-prem or in collocated data centers, where DevOps and IT organizations would then tether their on-prem networks to their remote data center via VPNs. This enabled them to have one identity management platform. However if that was too difficult, which it often was, DevOps organizations would need to setup a remote identity provider at their data center. This was often LDAP. For their on-prem directory service they would typically use Microsoft Active Directory®. With the shift to cloud infrastructure it just doesn’t make sense to try and network multiple locations together, and managing your own identity server for just your cloud servers is a lot of extra work. On the G Suite side, their productivity platform is locked in a heated battle with Microsoft Office 365. Google identity services on G Suite is really constituted with G Suite Directory, which is essentially a user management platform to Google Apps. Google’s G Suite also integrates with the on-prem Active Directory platform, but that integration requires on-prem servers and software. Of course, AD offers much more robust identity management capabilities than Google. Google as a Centralized Directory? For both the Google Cloud and G Suite use cases, Google Identity Services helps manage user accounts on the internal Google platforms. Unfortunately though, it isn’t a replacement to the core identity provider, and is not a cloud identity management service that can replace Active Directory. For now, Google has clearly opted not to try to turn Google Identity Services into a replacement to Active Directory. We believe that the future of managing Google Identities using Google identities won’t include using Google’s own Identity Services. Instead, organizations will leverage more fully featured identity management platforms that integrate tightly with G Suite. 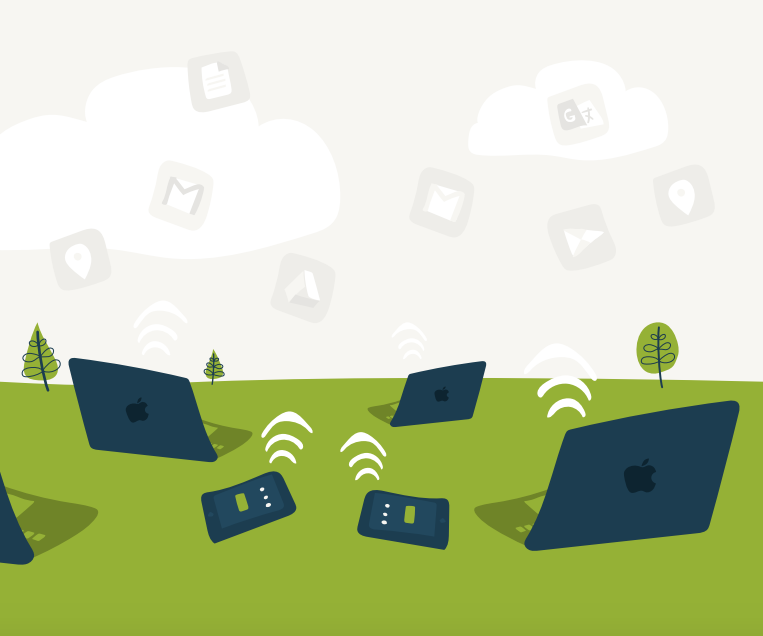 Our own IDaaS platform, called Directory-as-a-Service®, is at the forefront of this movement. 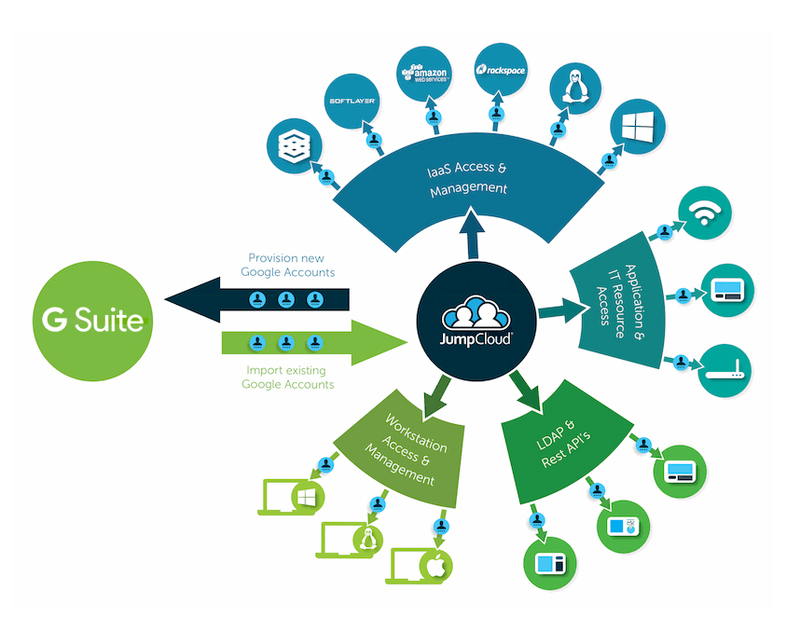 A platform agnostic, cloud-based directory service, this cloud-based directory integrates with not only Google Cloud and G Suite, but the whole host of other IT resources (systems, networks, and infrastructure). Think of the approach as the reimagination of Active Directory for the cloud era. If you would like to learn more about the future of Google Identity Services, watch this video tutorial demonstrating the integration of Google and Directory-as-a-Service. It will give you a good indication of how to integrate Google IT platforms such as Cloud Platform and G Suite with a core identity provider. You can also contact us directly with questions or simply sign-up for a free IDaaS account and give the cloud directory a try for yourself. Your first 10 users are free forever.